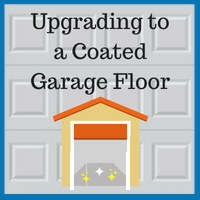 Most garage floors have the same appearance: a piece of concrete slab covered in mystery stains and cracks. Your garage investment should stand out just like the rest of your house. Although you could always stain or paint the existing floor, these options do not always last as long as we would like, and cracks will still show. Consider applying a polyaspartic coating to give your garage a shine not found in most houses. This option comes in a variety of colors, enabling you to discover the best palette to match not only the rest of your home, but also the colors of your garage door, panels, and cabinetry. Most Americans today prefer to complete a job themselves to save the cost of labor. Although this is noble and cost-effective in the short-term, ultimately it saves you money in the long-run to hire a professional. Pros know how to prepare the floor to give it a smooth, clean, and professional look not found in most DIY flooring projects. Additionally, the durability found in the at-home project kits do not match the quality of a professional job. Typically, two to five years later, DIY floors need touch-ups, repairs, or a refinish. Even with an epoxy flooring option, homeowners experience what is known as “hot tire pickup.” Vehicle tires become extremely hot when traveling at high speeds on the road, which causes them to expand slightly. When you park your car in the garage, the tires then begin to cool and contract once more. However, this reaction can cause the flooring to pull up, effectively ruining the look of a freshly painted or epoxied floor. Professional floor coatings not only last longer, but they are much easier to maintain. The protective layer also waterproofs the floor and is chemical resistant, thereby making spills from items such as oil or paint easier to clean up. Cleaning the entire floor is also a breeze. Just sweep the floor of loose debris and hose the floor off, then use a squeegee to remove any excess water or soil. At Blue Sky Builders, we specialize in creating custom garages to suit your needs. From the roofing to the floor and everything in between, we have Chicago and its surrounding areas covered. 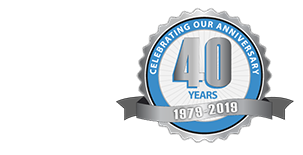 For nearly four decades, we have helped families create, maintain, and repair their ideal garages. Ask us how we can help you today by calling 630-852-8485 or contacting us online. If you are in need of a little inspiration, please feel free to check out our garage gallery of some of our past projects.